Injured in a car accident in Ventura county, Contact an attorney at Ventura injury law firm to determining pain and suffering compensation of your case. Posted in Car Accident Attorney on Saturday, Aug 12, 2017. Car accidents can be devastating and cause damages beyond what the eye can see. Many people may not be familiar with “pain and suffering.” This is the physical and mental pain people tend to experience after the traumatic incident. You can receive compensation for any negative changes suffered in a vehicle collision with the help of a well-versed Ventura County car accident attorney. If you have been injured in a vehicle accident in Ventura County caused by someone else, you can seek compensation from the individual at fault’s insurance company. Your attorney can present evidence for all the damages or injuries sustained in the crash. Some common forms of evidence to support your claim include photographs, personal journals, and witnesses. If the victim is suffering depression, insomnia and anxiety he or she will need to show prove of ongoing mental health treatment as well. The careless driver’ s insurance company generally pays medical bills and lost wages. However, you should also seek compensation for pain and suffering as long as it applies to the specific circumstances of your accident. Pain and suffering can manifest a variety of ways. Physical and mental pain are the most common types of damages victims suffer in this category. Physical pain – These are the actual injuries sustained in the car accident. It comprises the physical discomfort the victim may experience together with any future repercussions. Mental pain – Mental pain comes as a result of bodily injuries. When people have been in pain for a while they can experience mental anguish, depression, fear, anxiety and several other symptoms. These are the negative emotions that tend to go untreated. There are worst conditions associated with mental pain such as post-traumatic stress disorder (PTSD), sleeping disorders, and sexual dysfunction. When the victim sustains various injuries in the accident and suffers severe concussion. These catastrophic accidents can make victims feel depressed and angry. They may also experience sleep and eating disorders. All these issues are linked to the traumatic accident and the victim is entitled to receive compensation for such physical and emotional discomfort. When a car accident victim can’t go back to work even after he or she seems completely healed. Some issues linger long after the accident. The claimant can seek compensation for any damages associated with mental pain and suffering. Some cases may include injuries that stop the victim from performing important physical tasks. This may cause the victim to feel depressed and frustrated. Although the victim doesn’t need mental health treatment, he or she may still qualify for mental pain and suffering compensation. 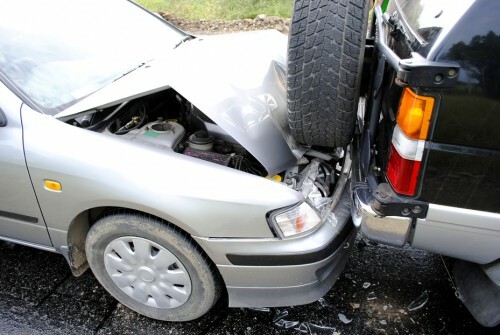 A vehicle accident can be a traumatic experience that causes many long-term consequences. You can’t deal with these issues without adequate treatment and medical treatment can be very costly. Contact a Ventura County car accident attorney today to schedule your initial case evaluation.